The Society was founded in 1881 by T.W. Rhys Davids "to foster and promote the study of Pali texts". It publishes Pali texts in roman characters, translations in English and ancillary works including dictionaries, concordances, books for students of Pali and a journal. As the List of Issues shows, most of the classical texts and commentaries have now been edited and many works translated into English. The Society aims to keep almost all its publications in print and to produce at least two new books and a volume of its Journal each year. Access to Insight is an Internet website dedicated to providing accurate, reliable, and useful information concerning the practice and study of Theravada Buddhism, as it has been handed down to us through both the written word of the Pali Canon and the living example of the Saŋgha. This web site contains documents, resources, and links about the Buddha's Teaching in two languages: English and Vietnamese. A vast site cataloging much of what is available on the net on all branches of Buddhism; on the other hand the site looks abandoned and much seems out of date. This facility enables one to identify the Chinese, Tibetan, and Sanskrit "parallels" or "counterparts" to the suttas of the four main Pali Nikayas - or vice versa. It is designed for those whose interest in the Early Buddhist discourses extends beyond the limits of the Pali Sutta-pitaka to include the extensive corresponding materials found elsewhere: the Agamas and individual sutras preserved in Chinese, the occasional sutra translations contained in the Tibetan Kanjur, and the numerous published fragments of sutras in Sanskrit and related languages. 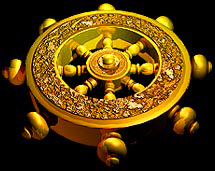 A searchable and browseable directory of Theravada Buddhist resources around the world. It provides nicely annotated links to sites offering information on traditions, news and events, organizations (including monasteries, meditation centers, libraries, and temples), personalities, online reading materials, publications, audiovisual materials, and more. The categories are logical and navigation is simple. A huge collection of Public Domain documents covering a wide variety of sacred subjects. There is a CD available. The website, which is still expanding, includes texts, translations, and studies from both the early and medieval periods, in Pali, Sanskrised Prakrit, and Classical Sanskrit.